The #1 HR software for small and medium businesses sets you free to do great work. Find the right people faster. Just like the early bird and the worm, the right Applicant Tracking System helps HR reps get the best candidates. Master employee data. Healthcare data for compliance? Check. Contact information for the employee directory? Check. Better HR software creates better first days. And a great onboarding experience means increased retention and engagement. Save time, money, and trees with esignatures. Remove the hassle of distributing and collecting signed paperwork. 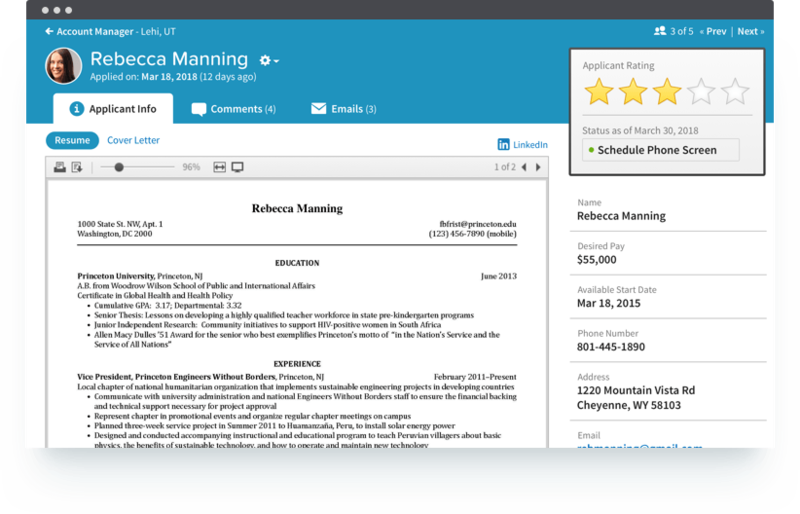 Gain instant HR insights. Quick. Custom. Precise. BambooHR makes it easy to create detailed reports. Create custom workflows to be more efficient in your decision-making processes and protect the integrity of your data. Eliminate bottlenecks by making approvals easy to manage and even easier to execute, paving the way for your company to grow faster. Spend less time on time off. Say hello to automated time-off requests, and say goodbye to shoulder taps, and sticky notes. Performance reviews reinvented. Shorter, more frequent, more relevant, and more honest. You could even call them enjoyable. It won't cost a thing.